But it's still far more usable. A few months ago, some. BMW claims the car has 600 horsepower and can sprint from 0-60 mph in 3.4 seconds. As it turns out, this claim was highly conservative because the dyno test showed an output of 626 hp (around 690 hp before drivetrain loss), while Car and Driver claims it took them just 2.8 seconds to reach 60 mph. 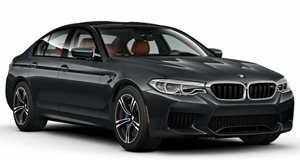 Now a new video from Evolve Automotive shows that the M5 could produce even more power and a very special torque curve. After putting the M5 on the dyno, Evolve discovered that it produced 631 hp at around 5,800 rpm (around 694 hp before drivetrain loss). This may not be a huge amount more than the last time the car was tested, but we imagine that the . The more interesting part of the test was the torque figure, which wasn't too much more than BMW's rating of 553 lb-ft rating. Though the number isn't underrated like the power figure, the torque curve is extremely linear, with peak torque available from 2,200 rpm all the way up to 5,800 rpm. This means that no matter where you are in the rev range, the M5 will deliver peak torque on demand. Interestingly, the old F10 M5 also produced a similarly underrated 630 hp, but couldn't come close to the F90's torque curve. On paper, the two cars seem extremely similar, as the F90 uses an upgraded version of the F10's 4.4-liter twin-turbo V8. However, this dyno test proves that the F90 is far more usable in the real world and has a huge advantage thanks to its linear torque curve and all-wheel-drive system.